Nettl’s bespoke till integration sends orders directly into EposNow’s till whenever an order is placed online. Once an order is completed in Epos Now’s till, the order is then completed in WooCommerce. Stock levels are synced between Epos Now & WooCommerce, ensuring the stock levels in a customer’s till and online are automatically adjusted and correct. Click & Collect option using Delivery Slots. Please note: this integration connects 1 website to 1 retail location. All website orders go through to a single connected till location. Whenever an online order is placed, the details are sent to Epos Now allowing you to process the order immediately from your till. Both in the till, when you press Unhold/History. And in the back office reports, via Reporting > Transactions > Ordered Transactions. Please note: the order will be for your website’s linked till product. The software looks for a matching product name or SKU to try to link one if there isn’t a link. If it can’t find a matching product, a new product will be created in the till when an order is placed. If click & collect is set up, you will see details of the time someone has chosen on their checkout for collecting the item within the Shipping: Local pickup line. The product note will also show you the Order ID reference in WooCommerce. The payment can be taken in the till, and the order in WooCommerce will also be marked as complete. If this doesn’t happen it’s likely that the complete transaction web hook hasn’t been set up, your local studio will correct this for you. You can also change the Epos Now plugin to not complete orders in WooCommerce once the payment has been accepted in the till. The order will still be sent to Epos Now, but can be completed seperately in each area. The till integration automatically keeps your stock in WooCommerce in sync with your Epos Now stock levels. The website is updated everytime stock is changed in the Epos Now till. When a transaction is processed and completed through the Epos Now till, the stock level will adjust in both Epos Now and WooCommerce. If a product stock level goes below 0 in Epos Now, the product will show as out of stock in WooCommerce, when more stock is added the product will then show as in stock automatically. 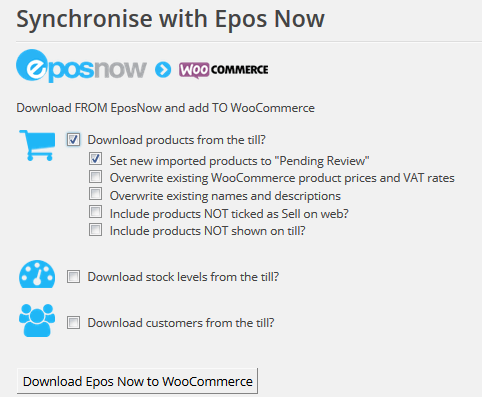 You can also manually update all stock by pressing the “Download stock levels from till” option in WooCommerce via the WooCommerce > Sync with Epos Now menu. Does stock get managed for all Epos Now products? The automated stock syncronisation will only work when stock has been entered into Epos Now via the Stock Adjustment section in the Management > Products > Advanced menu. Please note: if the stock is blank, we cannot be notified of stock changes from new till transactions and WooCommerce will not update with the new stock. When you download products from the till, we will also download the latest barcode stored against the linked product in Epos Now. You can search for products by entering or scanning your product’s barcode in WooCommerce’s Products > View Products page. For the integration to work beautifully, your products in the website and in the till will need to be mapped together. Your Nettl studio will help you link these together when we get started working together, but this guide will help you understand how to keep products linked. 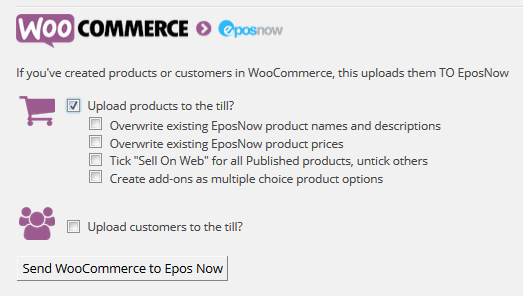 You can see who Epos Now product is linked to your WooCommerce product via Products > Edit in your website backoffice. You’ll see the Epos Now product ID, and last barcode we downloaded. 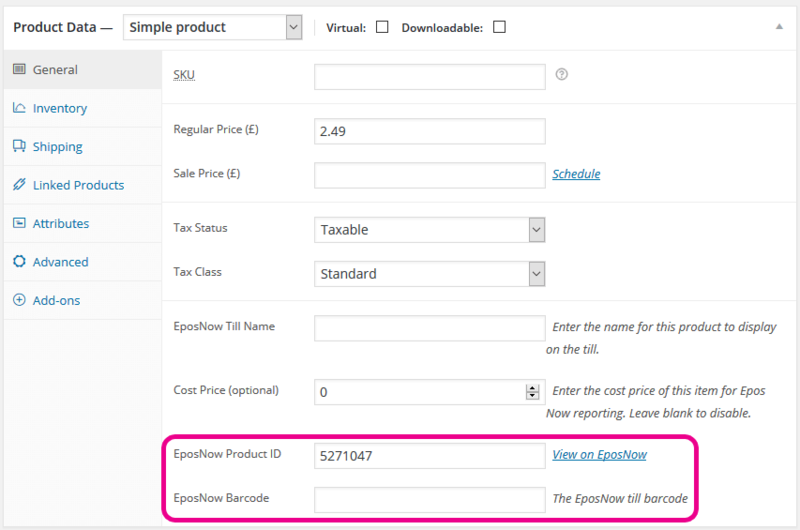 You can press the “View on EposNow” link to view the product in Epos Now, to check the stock and connection is correct. 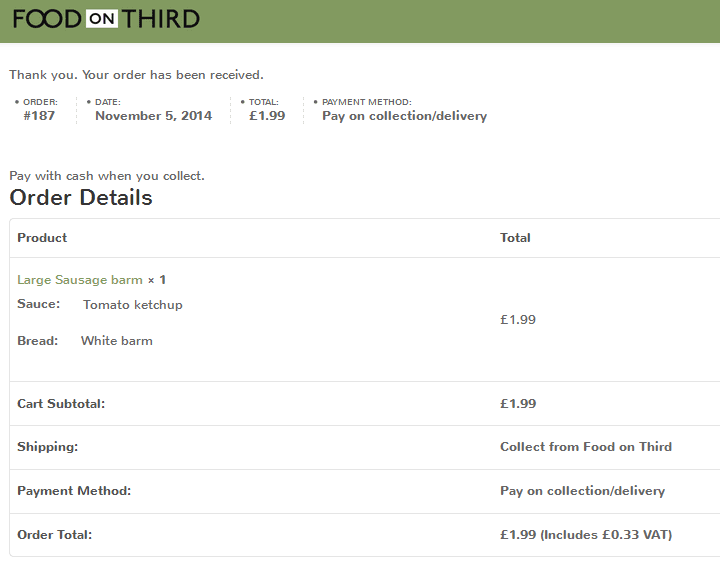 If you have an existing WooCommerce website but an empty Epos Now till, we can bulk upload products into the Till. We recommend this option especially if you use product variations. Variations on a website allow you to group similar products together, such as Red dresses of different sizes. In the till each size variation will be a seperate product, but on the website you may want to group them together. When variations are downloaded from the till, we don’t know that they should be grouped so download them as seperate products – which have to be deleted and then re-created in a web-friendly manner and re-linked manually. However when variations are uploaded to the till we can group them together for you in the till and make a product for each variation. The information required to make products ready for web is different to what is required to make products ready for the till. To make ready for web, a product image and web-friendly description is important. To make products ready for the till, a barcode is important. The product categories for web and the till can also be different. Finally on a website you will likely want to group variations of products together for customers to purchase online, such as different sizes of clothing or different colours of a product. This will first look for matching product names or SKUs in the Epos Now till to make an automated link. If it can’t find a match, it will create a new product in the Epos Now till. Beware this will upload several products to the till and can affect your daily operations. Also beware that product names & descriptions are longer on the website than in the till. We have to cut short the names, so you may see products with odd names in the till. Epos Now bulk updating isn’t as easy as it is in WooCommerce. Also barcodes cannot be added onto the till in our upload. Epos Now have an uploader for bulk adding barcodes, but this is a paid for service, otherwise they can be added one by one in Epos Now. If this is a new website with an existing Epos Now till, we will download your products. Tick “Download products from the till? We recommend ticking “Set newly imported products to pending review?”, so you can make products web-friendly before showing online. All products from the till will be downloaded into the website. However, more admin will be required to make products designed for the till suitable for selling online. Products in the till have short names, no images, and no web-friendly descriptions. Once the products are downloaded, the product names, descriptions and images will need updating either individually or through a CSV import tool if there’s a large number of products that will need to be updated. Should I include products NOT ticked as Sell on web? When a product is created in Epos Now, it’s not ticked as Sell on web. If you want some products in your till to only be on your till and not on your website, you should tick all the products in your Epos Now till that you want to sell on web so we know to download them. If you already have a website and Epos Now till, this is the most difficult integration approach. We need to link the products individually. If you have hundreds of products, we can do a bulk update but this guide will explain how to link products without bulk updating. Head to Management > Products in Epos Now, search for your product and press the Advanced button on the product you want to link. Head to Products menu in your WooCommerce back office, search for your product and edit it. Scroll down to the Product data section. 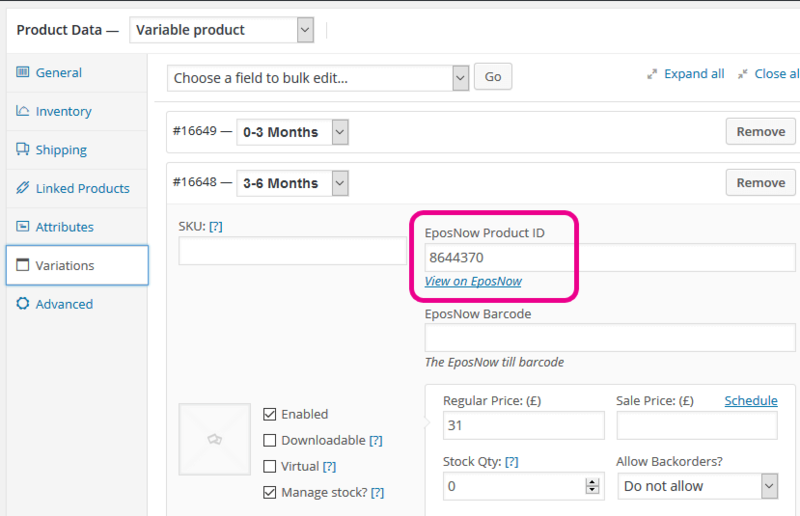 Paste your product ID in the EposNow product ID space. OR if your product is a variable product, head to the Variation tab. Choose the product variation the product is for. The Epos Now till integration is fully compatible with different WooCommerce product types including simple products, product add ons, grouped products, composite products and product variations. However you should be aware that the product data structure of variations is different between a website and a till. Within a WooCommerce website, product variations are used to show different variants of a product, such as a dress in different sizes and colour combinations. Within Epos Now, each variant would be a unique product as that holds the stock information, whereas in WooCommerce the variations are bundled together within a holding variable product. When Epos Now products are downloaded, all products including variants are downloaded as unique simple products and are not automatically bundled together as it takes a human with understanding to work out how the products should be bundled. Before these are ready for web, you may need to delete the downloaded products and create a variable product with all the correct Epos Now product IDs. 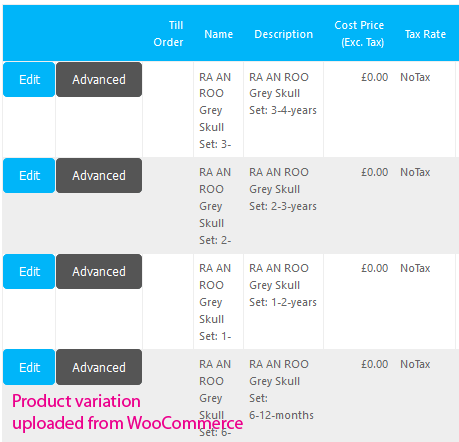 When WooCommerce variations are uploaded, we are more intelligent with the grouping.Variable products are created as a sub category instead of a normal product, and your variations become Epos Now products within this sub category. This means when you’re in the till, you can click into a category of dresses, see a grouping of a specific type of dress, click into that and then see all the variations within. We name each variation product after the product name followed by all the variations that apply to it. Why does text look strange on my till receipt? If a product is sold online that doesn’t exist in your till, we make it for you when the order is placed. However the till can show the product with strange text, this is because the Epos Now till stores product information when the till is in use and needs to be refreshed with the latest product information to display the text we send correctly. 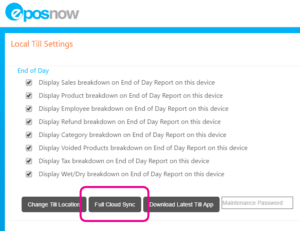 You may also get till lines looking strange, a full cloud sync will resolve this.